I am passionate about communicating scientific research to… well, everyone! I feel fantastically lucky to be so inspired by what I work on – and I think that science, and particularly zoology, has that power to inspire anyone to think more carefully about their impact on the planet, and what we might do to better preserve it. I’m a member of the social media team for the Society of Integrative and Comparative Biology’s journal, Integrative and Comparative Biology. I love to write, especially about cool findings in behavioural science. 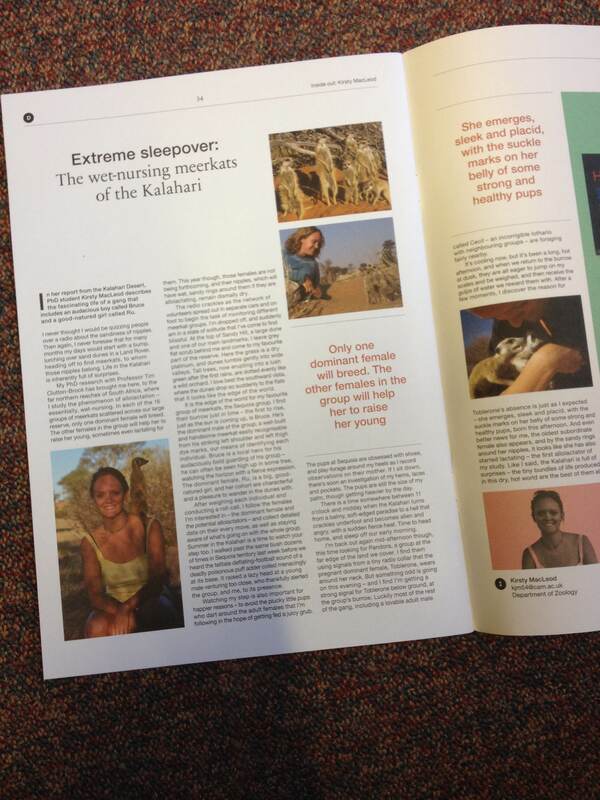 You can often see my articles in Biosphere, and I’ve also written for BirdLife. I usually post about new articles on this blog, and you can find my writing on miscellaneous topics here. I’ve also been lucky enough to be involved in some excellent outreach training schemes. 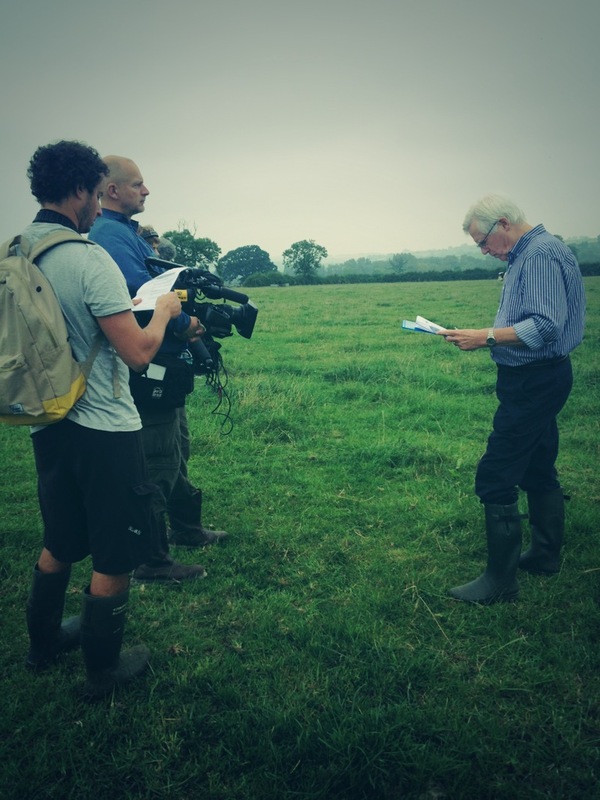 In 2013 I was awarded a British Science Association Media Fellowship, and spent a month working with the BBC in Bristol to learn about how their Countryfile team seeks to communicate science to a general audience. Hopefully they also learned a bit from me about how scientists seek to be represented in the media! This is an annual scheme – if, like me, you are interested in the interface between science and media, definitely consider applying. You can read about my experiences here. 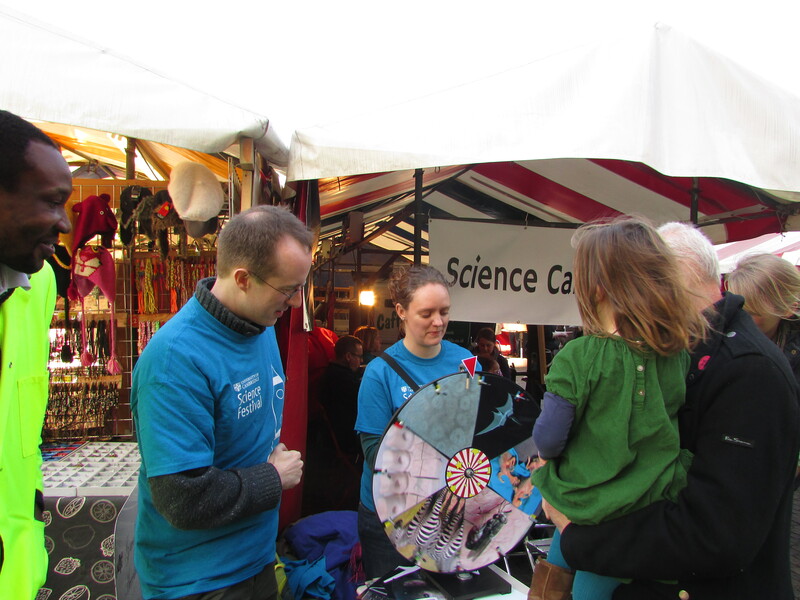 In 2015, I got a place on the University of Cambridge’s Rising Stars public engagement programme, an intensive course on putting together outreach events. I made good use of that when co-organising (with Rose Thorogood) an event for the Cambridge Science Festival: Science Café Cambridge. You can read about how that went (brilliantly!!) here. British Science Association Media Fellowship – placement at BBC Countryfile. Filming with the legendary John Craven! Some very nice people have invited me to talk about my work on their podcasts: you can listen back here, and definitely tune in for more from both! Even more rarely I have been asked to provide expert opinion… but I was particularly excited to be part of this article by Carl Zimmer on kangaroo adoptions!